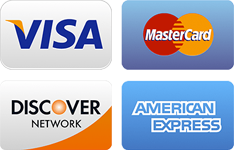 HD Wetting accepts payments via credit card, debit card, and direct debit. Prices shown here are in US dollars, the exact amount you pay may differ depending on your local currency. The precise payment amount will be shown to you at checkout. Not all payment types are available in all locations. Some subscription options may not be available depending on your payment type. Top fetish film stars Alisha Adams, Sosha Belle, Nikko Jordan, Mikki Avalin, and many more!